Donations from the Governor’s Leadership Celebration will support a new exhibit at the History Colorado Center. 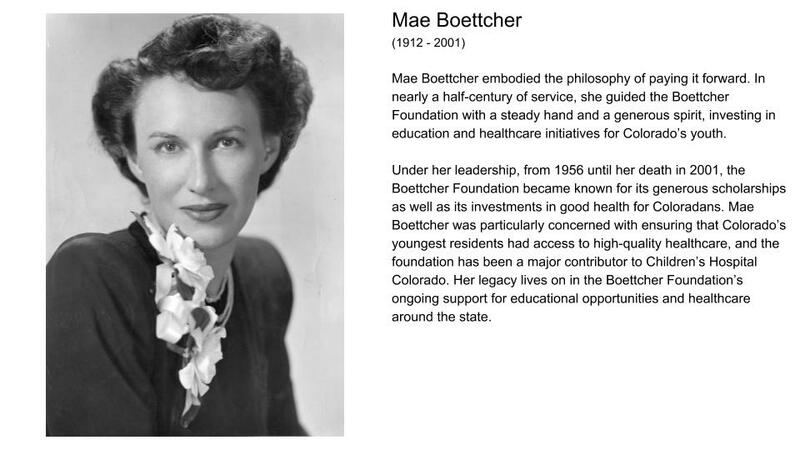 This exhibit will feature past and present community heroes and will inspire future generations to give of themselves, make an impact and do great things in our extraordinary state. The Colorado Citizenship Medals were inspired by the Presidential Medal of Freedom - the highest civilian honor bestowed upon a citizen of the United States. 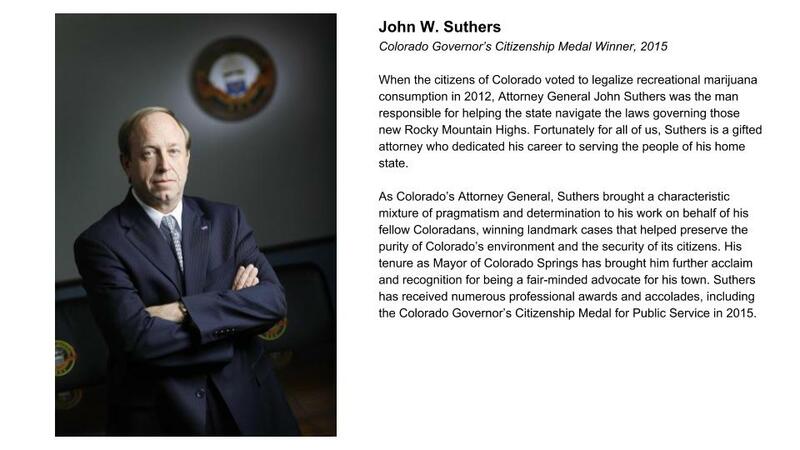 The Colorado Citizenship Medals were established in 2015, by Executive Order Number B 2015-10, with support from all five living Colorado Governors. 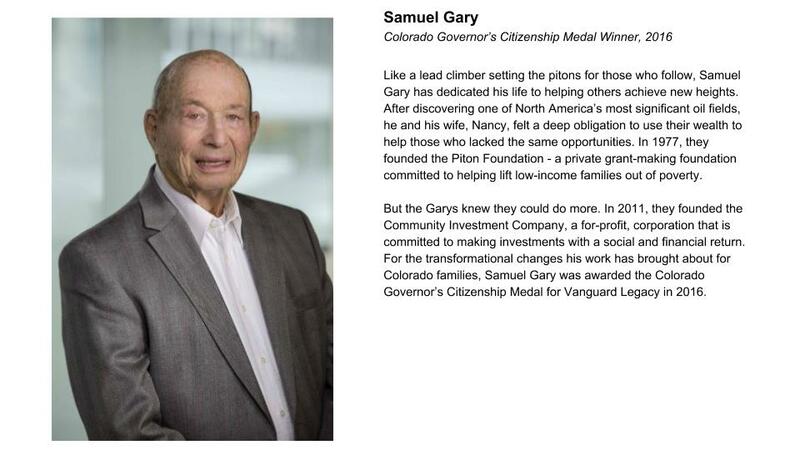 Each year, the sitting governor selects awardees in five categories: Corporate Citizenship, Emerging Leadership, Growth and Innovation, Public Service and the states highest honor the Legacy Award. Selections are made based upon non-partisan nominations from QF’s Nomination Committee. Gifts will support an exhibit that QF has underwritten at the History Colorado Center. 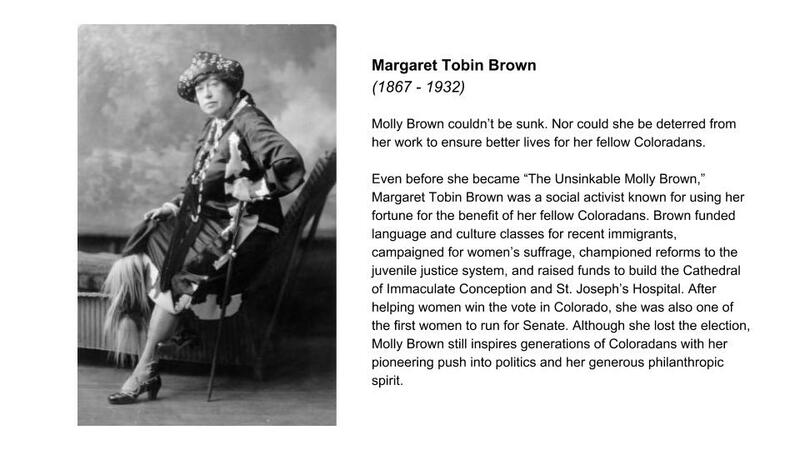 The exhibit will showcase medal recipients and other historical community leaders from Colorado’s rich heritage. 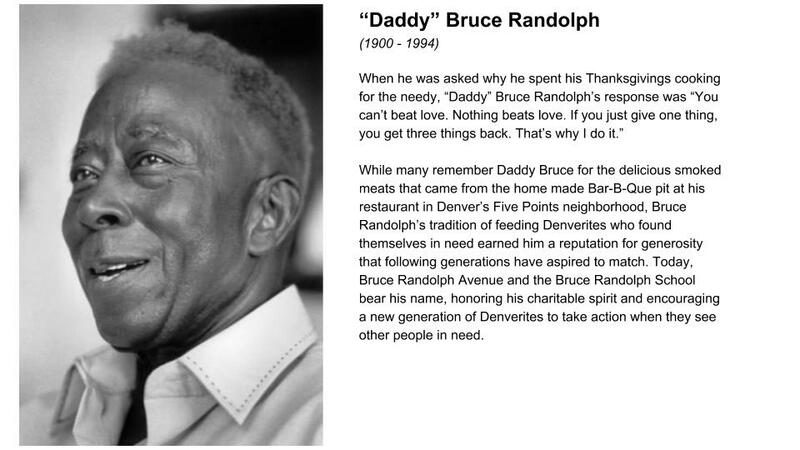 Heroic Colorado stories will inspire more civic engagement, ambition and gratitude for future generations. Programming will target middle school students who, studies have shown, are making transformational life decisions that could influence a lifetime of significance and fulfillment.